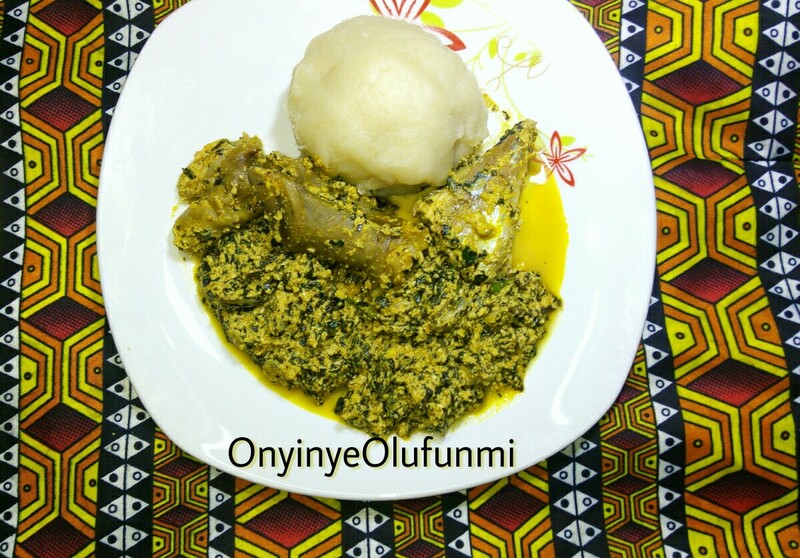 I have been craving egusi soup with bitter leaves for a while now. 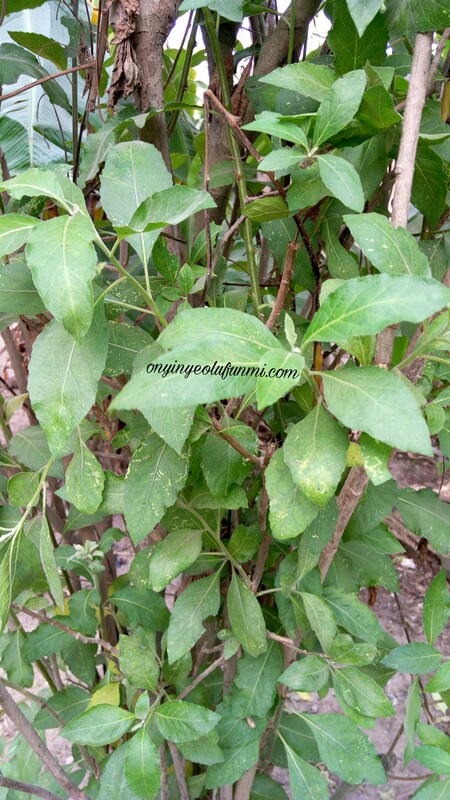 I’m one of those few people who like bitter leaves and drink the juice especially because of its benefits. And for the first time, I’m using cow leg in my soup. I use other types of meat but cow leg was available when I wanted to cook, so I used it. Egusi soup is a Nigerian soup it is prepared by both my Igbo and Yoruba family. However, this post focuses on the Igbo preparation style and it is called ofe egusi in Igbo. Boil the cow leg with onions, crayfish and salt. When is it tender, add the fish and boil for 7 minutes. Remove the cow leg and fish, add the egusi and the dried pepper to the broth. Boil for 10 minutes, and stir from time to time to prevent the soup from burning. Add palm oil and stir then allow to boil for 4 minutes. Add the bitter leaves, steam for 5 minutes and lastly add the cow leg and fish and stir. The soup is ready.